Mobile can no longer be considered "just another channel." It isn't anywhere near the same strategic plane as branches or call centers. 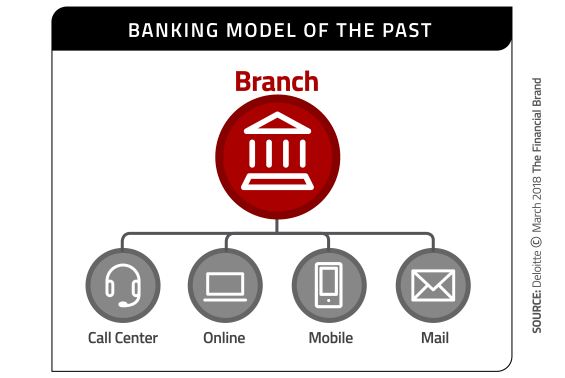 Mobile should now be seen as the basis for an entirely new banking model, a shift that is forcing bankers to accept that branches are no longer the center of the universe. Banks and credit unions need to completely reorganize their retail delivery strategy around the mobile channel. And fast. Sure, everyone knows that mobile is important. 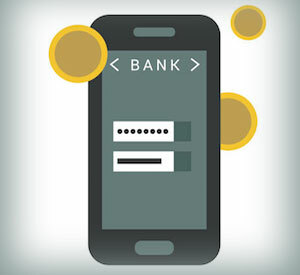 It’s impossible to ignore the statistics showing how more and more consumers are interacting with their financial institutions through mobile channels. But banks and credit unions still seem slow to respond. The Deloitte Center for Financial Services offers a stark reality check: banking providers must radically redefine their retail channel strategies, and immediately reorganize their distribution and delivery models around mobile. This wake up call is the main message from a new report from Deloitte, “2018 Banking Outlook: Accelerating the Transformation”. 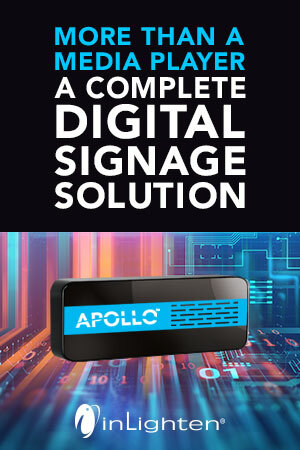 Digital consumers today view their mobile devices as appendages of the human body, essentially an extension of their hand — permanently attached, just like their fingers. Checking their mobile phone is the last thing four out of five people do before going to sleep, and nine out of ten consumers look at their phones almost immediately after waking up. Some actually sleep with their phone in their hand. 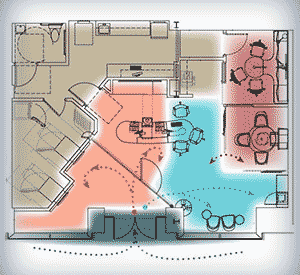 The majority keep their phone within arm’s reach (three feet or less) 24 hours a day. In their report, Deloitte stresses how critical mobile is to the future of banks and credit unions. In Deloitte’s view, mobile isn’t just one way to deliver banking products and services — a handy, convenient banking method for those consumers who don’t want to visit a branch — but the linchpin of their entire delivery strategy. Deloitte says viewing mobile as just another channel is both myopic and dangerous. 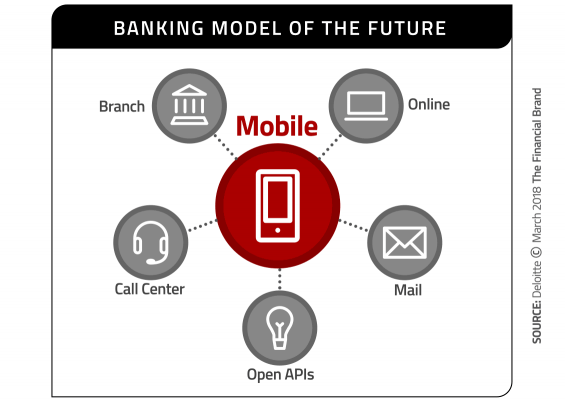 Banking providers must reorganize themselves around digital, and retool their strategy with mobile as the centerpiece. This means playing for the “long game” of growth, says Deloitte — a process that involves six strategic components. It’s this simple: you can’t claim to be “customer centric” if you haven’t (yet) rebuilt your retail delivery strategy around the mobile channel. Reality Check: These days, saying you have a “customer centric” philosophy better mean you also have a “mobile centric” business model. 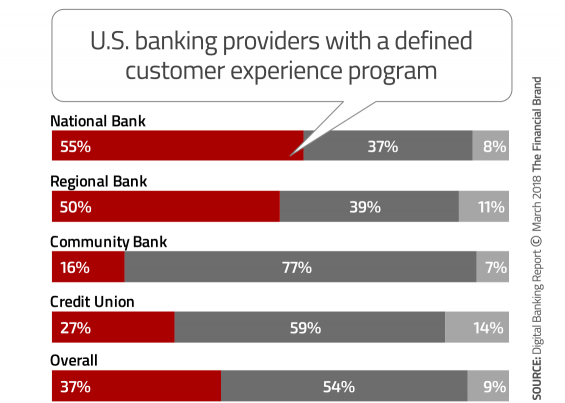 Larger banks fare better than smaller institutions when it comes to having a customer centric mindset, with more than half of large national banks saying they have a customer experience program. Community banks have the furthest to go in terms of customer centricity — an odd finding since community banks pride themselves on a better understanding of their customers. “The core objective is to achieve organizational agility,” Deloitte says. “To do so, they should consider embracing innovation, managing talent differently, and pursuing key partnerships within a broader ecosystem.” This is the only way financial institutions will be able to develop and deliver mobile-centric solutions for customers. With every branch of the U.S. government now tipped to the right, many financial institutions expect to see a regulatory pullback. 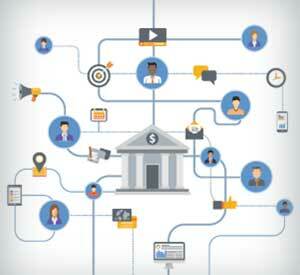 Regardless of whether banks and credit unions expect regulations to ease up in a Trump administraion, Deloitte calls for financial institutions to modernize their regulatory compliance model to become less siloed and more enterprise-wide so that every line of business adheres to the same standard regulatory expectations. Simply put, if you reorganize around the mobile channel, your entire approach to regulatory- and compliance issues will need to evolve too. New challenges and concerns will emerge. Plan accordingly, and be sure to weave this into your strategy from Day 1. Deloitte predicts that 2018 is the year that banks and credit unions take somewhere between a “modest step” to “a big leap” in the way the IT views itself and how technology assets are managed. The challenge for IT is real: with legacy infrastructure that is inflexible and costly to maintain, it’s difficult for IT to meet the needs of the institution. Instead, look to externalization, in which you outsource commodity-type, generic activities and have internal staff handle only those activities that are true differentiators. With more technology providers to choose from and the proliferation and acceptance of cloud computing that makes outsourcing more affordable and realistic, banks and credit unions just need to select the right technology partners. Deloitte isn’t suggesting that you outsource all generic functions. Some, such as compliance, may still need internal staff. But perhaps you can outsource the automation of manual compliance processes that are a drag on your resources to an external provider and have your internal staff do the final check and signoff to make the regulators happy. It’s not that cyber risk isn’t top of mind for banks and credit unions — it most certainly is — but the problem, says Deloitte, is that cyber risk is often considered an afterthought rather than being baked into every single technology decision. While the obvious benefit of putting cyber risk front and center of all decision-making is to improve cybersecurity, there are other benefits as well, including faster speed-to-market, more resilience and responsiveness, and improved agility. When dealing with fintechs, banks and credit unions have a couple of choices. Deloitte says they can compete against fintechs and work on developing their own technology solutions, or they can befriend them. Deloitte argues that the latter makes the most sense, especially since the need for partnership extends both ways. Fintech firms — as well as technology giants such as Apple and Amazon — are highly unlikely to want to compete directly with banks and credits unions. Getting a banking charter and going through many, many regulatory hoops is just too daunting and time consuming, not to mention expensive. Technology firms are much more likely to want to partner with financial institutions rather than compete with them directly for banking consumers. The bottom line, says Deloitte, is that traditional banking providers must become more adept at developing solutions that customers — both existing and prospective — want… or someone else will step in to fill the need. Banks and credit unions will need to rethink how they can attract and retain a different type of workforce. Unfortunately, most financial institutions are unprepared for this shift. According to another Deloitte study, only 17% of executives are ready to manage a diverse workforce. Expand your notion of workforce from full-time and part-time to freelancers — even consider AI-powered robots. Align the values of the organization and the value of your employees with corporate social responsibility (CSR), and environmental, social and governance. Train employees how to work in a more collaborative and inclusive environment. 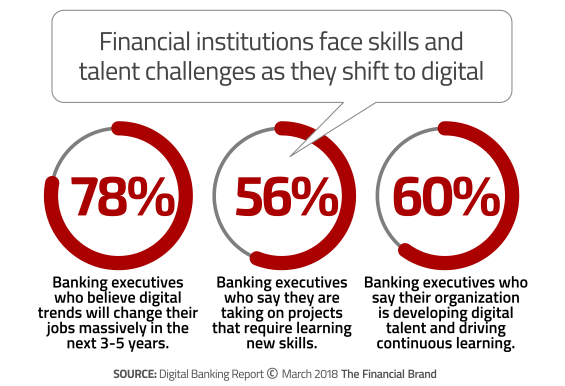 While technology skills are obviously important as banking becomes more digital, don’t forget the importance of human skills. This article was originally published on March 5, 2018 . All content © 2019 by The Financial Brand and may not be reproduced by any means without permission.